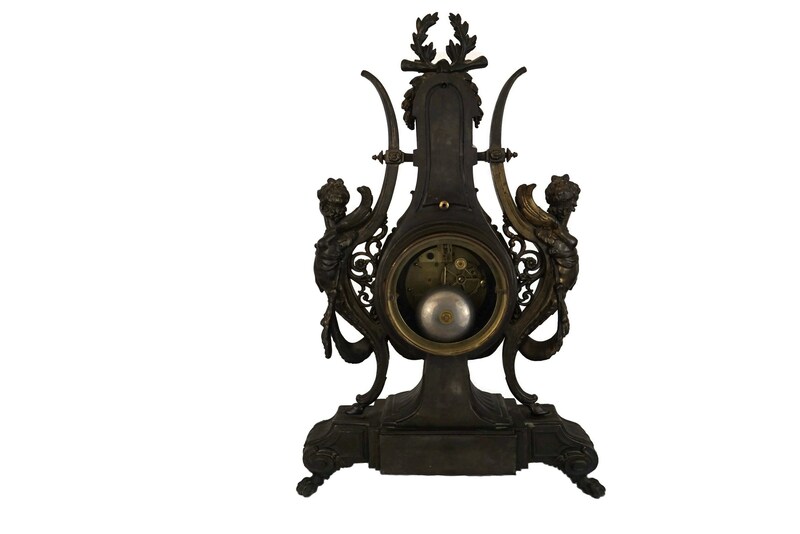 A magnificent antique French mantle lyre clock dating to the 19th Century. 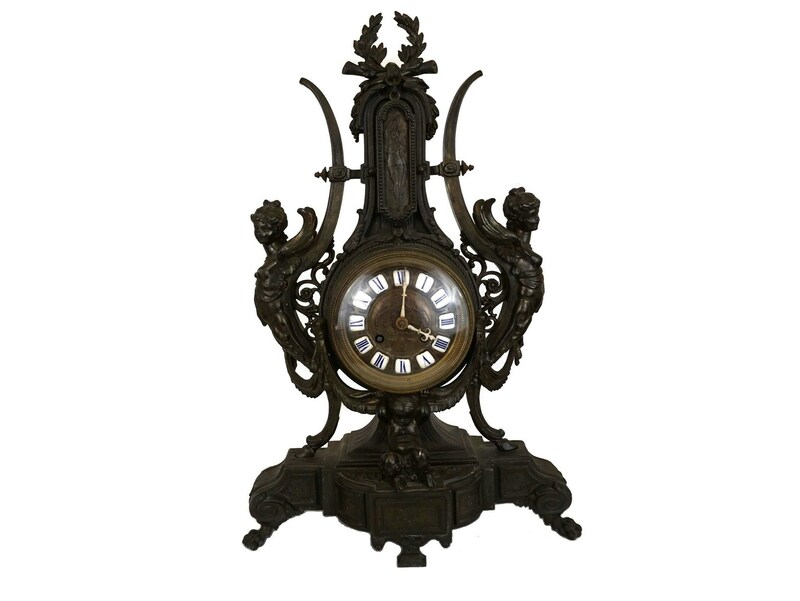 The clock has been cast from spelter and decorated with an antique bronze patina. 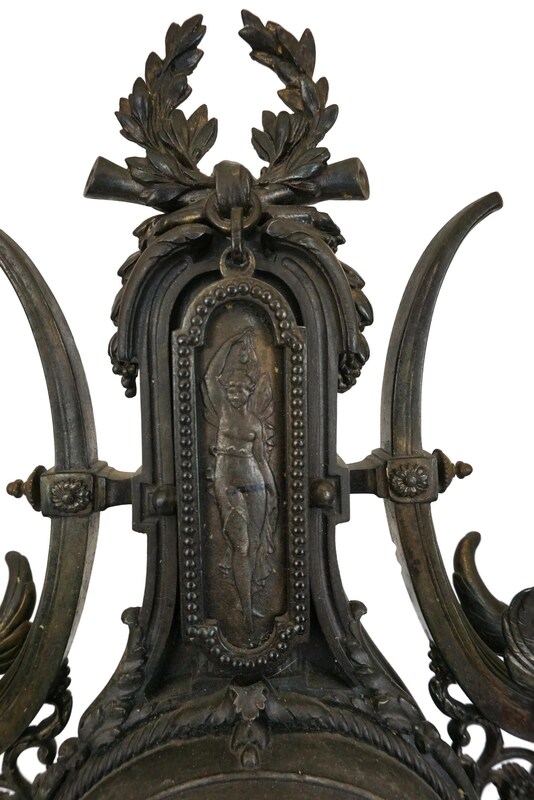 It has an elegant musical lyre shape and features a classic mythological theme with a pair of beautiful Sphinx and a faun at the base holding up the clock. 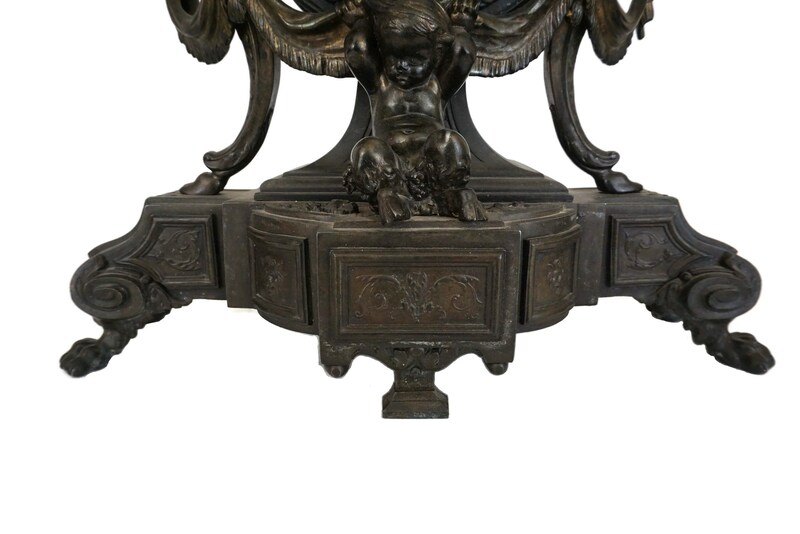 At the top there is oval medallion with a portrait of a charming fairy with wings and an ornate finial. 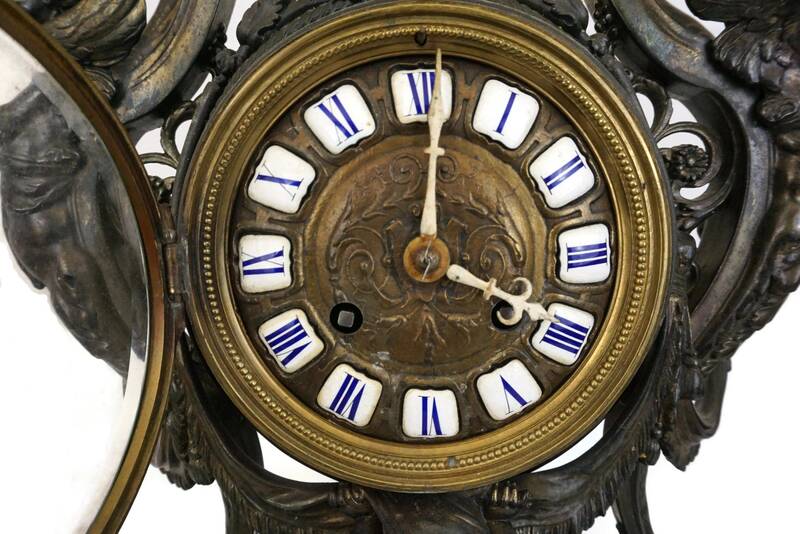 The clock face is protected behind a beveled glass cover and features enameled cartouche plaques with Roman numerals. The reverse side of the wind up clock is also protected by a beveled glass panel. 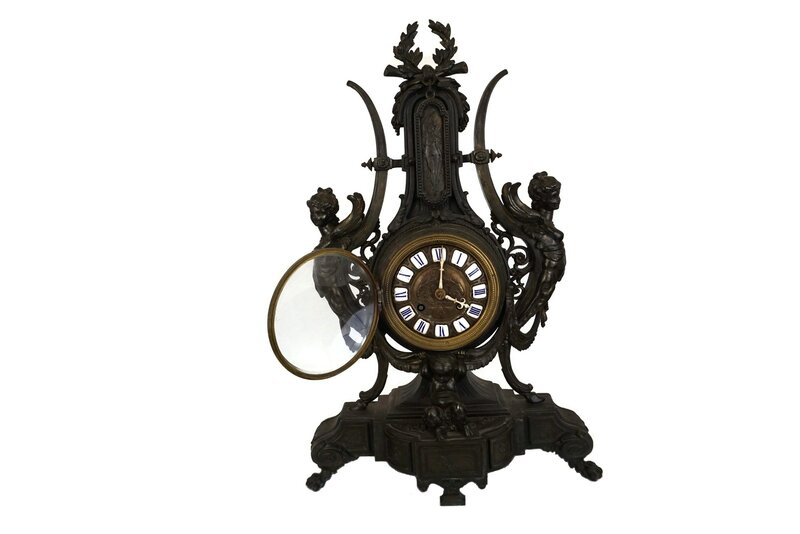 The clock has its original movement but is not currently running and requires a service. It will still make a an impressive addition to your home decor. 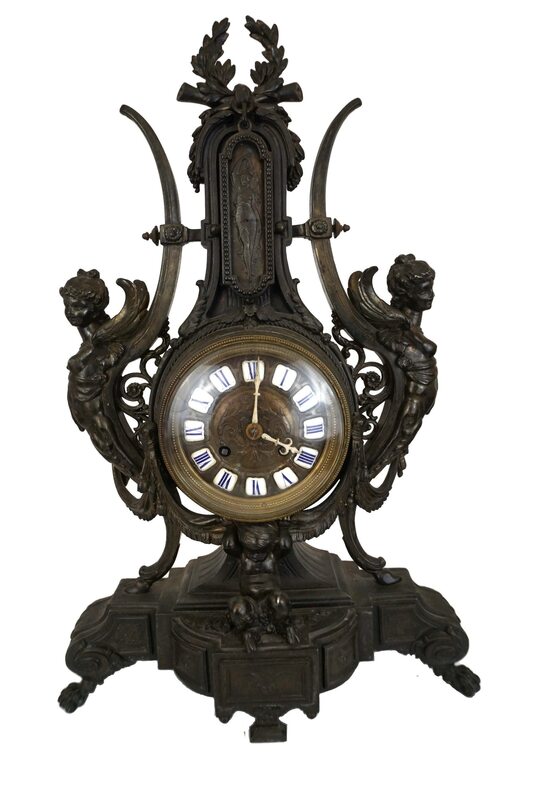 Please note that the antique clock is very heavy. 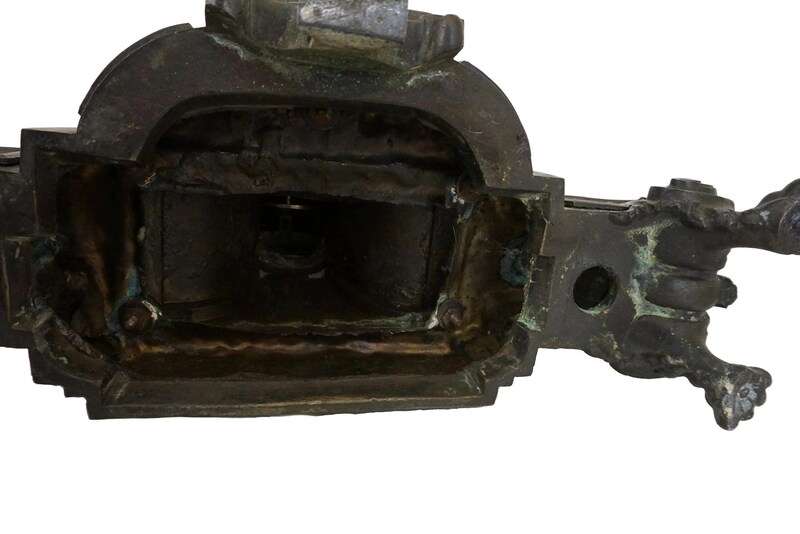 (48 cm x 30,5 cm x 13 cm). 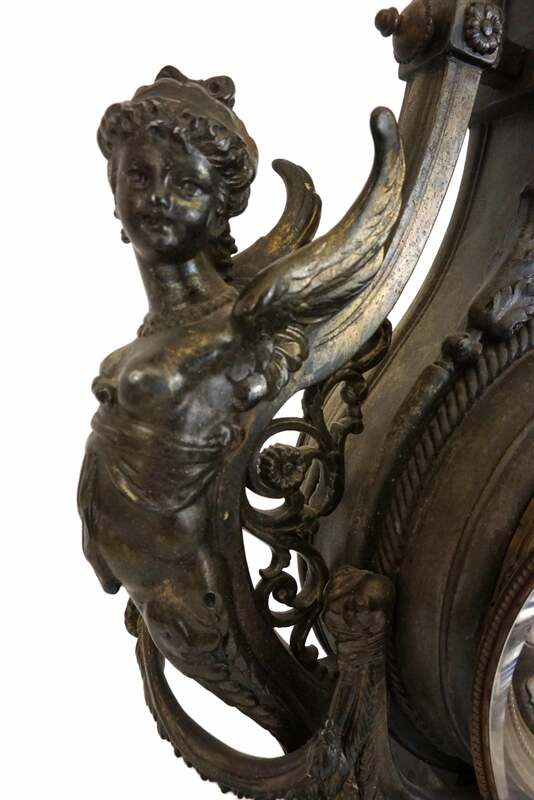 The antique mantle lyre clock is in good condition with an aged patina and light surface marks to the metal. 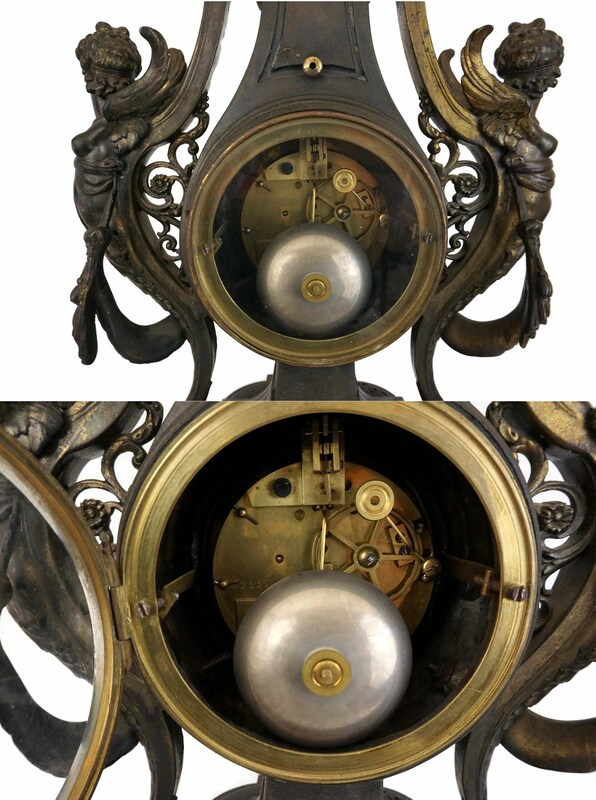 The clock requires repair by a clock maker. The glass doors at the front and back have no chips or cracks.